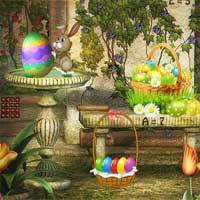 Magic Easter Garden Escape info about the game-Games2Rule. You are trapped in the magic Easter garden. Solve all the puzzles that will lead you to the secret key, and then leave this garden. Good luck and have fun!